5 factors boosting Vietnam's eCommerce space! 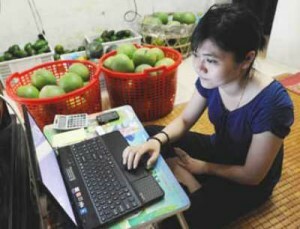 Home »Vietnam eCommerce»5 factors boosting Vietnam’s eCommerce space! 5 factors boosting Vietnam’s eCommerce space! Vietnam Internet veteran, Minh Bui, share his opinions on the five key factors helping to support the local e-commerce space. According to the InternetWorldStats, Vietnam has more than 30 million Internet users, the fastest growing Internet market of Southeast Asia in term of growth rate, just second place in term of total users behind Indonesia with 50 milion Internet users. So what is the e-commerce trend here? If you came to Vietnam two years ago in 2010, and ask someone in any office building if he or she has bought anything online, the answer is likely no. But now, you can survey many people in many different groups: students, white colar workers, small business owners, house-hold women and especially office women, most they already bought some products online. What happened? The transformation occurred after the wave of Groupon clones in Vietnam. More than 200 of these kinds of sites and the power of discounted products and services has strongly educate people to buy online just because of cheap prices. Estimations from some top leaders in the group-buying market puts online shoppers in Vietnam at more than two million users instead of less than 100.000 users two years ago. This number is in line with the ratio five to seven percent between online sales/total sales in some big companies which have both online and offline channels. Another reason is the trend to use online channels as a new sales channel that is being gradually explored by many big offline companies. Due to the crowd and saturation of current channels, they think they should provide more choices for their customers so that customers can buy products in whatever way they want. From the cost which is saved from store renting, sales personnel wages, utilities and other costs tied to the opening of a brick-n-mortar store, merchants can share those saving with customers by making price go down. Many online fashion & digital devices shop are opened by one-person business. They use their home as warehouse and open a website, or use popular consumer-to-consumerwebsites like 5giay.vn, enbac.com, vatgia.com and 123mua.vn as their showrooms. These above trends are also a good force stimulating people to try to buy online. How about payment? For most of high value producs or services, main payment methods is still cash on delivery (COD), the most popular way people feel comfortable to use. In some big retailers like Thegioididong.com, the largest mobile & personal devices store chain in Vietnam with more than 200 stores, it offers scanner to help users pay by ATM or credit cards when they receive products. A big percentage of online payment is recognized in buying airlines or movie tickets where people have to book their seat before. Online payment tools now have some form of group banking such as Onepay backed up by Vietcombank. Large consumer-to-consumer companies such as Baokim of Vatgia.com,the largest C2C platfom, NganLuong from Chodientu.vn and Soha from VCCorp and also providing similar services. Mobile phone network providers with online payment tools includes Momo, backed by Vinaphone. A local mobile payment solutions startups, Mobivi, was founded by Trung Dung, one of 17 successful American immigrants profiled inThe American Dream, who sold his company OnDisplay for US$ 1.8 billion. However, there is no dominant player in the payment market, even though Baokim has a little bit stronger than those competitors. Other services such as NganLuong is backed by Paypal with Ebay still recruiting small and medium enterprise clients to accept it. Logistics remains a major challenge for e-commerce players. Will logistics bring down the e-commerce industry ? About shipping matters, as the public post company is not suitable for ecommerce companies to ship their products efficiently, they have to find out the way to deliver to their customers faster and cheaper. Some leading companies have built their own teams to manage this. These teams can cover for two or three top-tier cities like Ho Chi Minh City and Ha Noi. In other cities and provinces, they still use public postal services. Other who are not well-established prefer to choose third-party services like Tin Thanh, a private shipping company which is popular with e-commerce companies. Some e-commerce firms even start their own shipping companies to serve both outdoor and inhouse needs. Examples are VCCorp, a leading Internet group backed by IDG Ventures Vietnam and Intel Capital or Vatgia.com, a leading consumer-to-consumer site also offer shipping services for their owned sites and for outdoor clients too. Giaohangnhanh.vn a young startup with a 30-person team, is started by two angels investors who are successful veterans in the distribution and retail space. The startup is eager to provide a new method of professional shipping services by helping to track and ship orders more systematically. Most actions are driven from the big players like FPT Online, VNG and VCCorp who are the top three online firms in Vietnam. FPT Online is backed up by FPT, an ICT corp with revenues greater than US$1 billion in 2011. FPT Online started sendo.vn an online shopping solution. VNG, the largest portal with nearly US$ 200 million in revenues last year, promotes 123.vn that targets new mums with their baby apparel products. VCCorp, an Internet leading group with more than 30 sites, backed by IDG Ventures Vietnam, recently received an un-disclosed amount of money from Intel Capital, also boosted by recruiting more than 100 new employees in their e-commerce department. Even VanCL from China also jumped into Vietnam ecommerce market with vancl.vn. Travel sites are also showing more local interests with “.vn” domain or activities in Vietnam such as Expedia.com.vn from the largest travel company in the world and jobstreet.vn from JobStreet.com.sg, one of the leading job sites in Southeast Asia. Booking.com os also looking for a sales manager for the Vietnam market. Even though Vietnam e-commerce space is still facing reducing interest from group-buying customers, online payment and delivery issues and customer services quality issues, all these five factors are helping to boost the e-commerce market to a new level and it is just the beginning of the uptrend path.